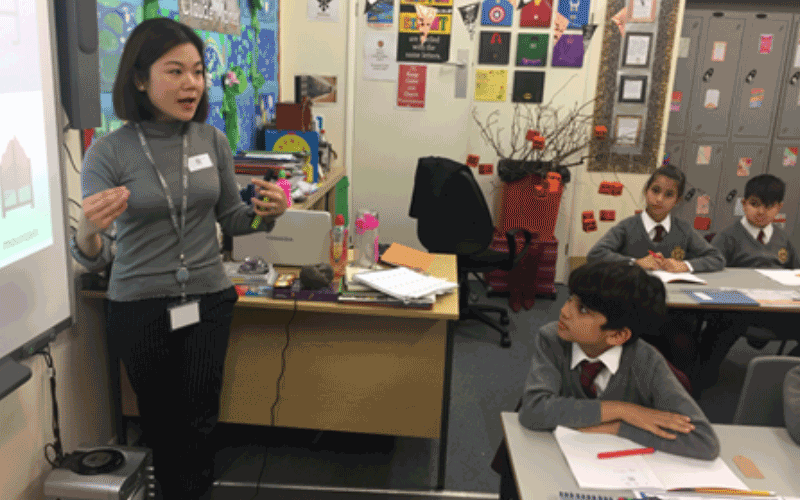 This term pupils in the Lower and Upper Third Forms are being introduced to what will undoubtedly become one of the most important languages in the world – Mandarin Chinese, by their teacher Miss Zhuang Pingping. It’s part of the school’s goal to expand its provision of modern languages, in addition to the French that all pupils study from the age of four and Latin that is added later on in the curriculum. It’s also our responsibility to prepare pupils for their future lives and give them the most expansive and well-rounded education that we can. We are now teaching Mandarin in recognition that China, already a world super-power, will play a major part in the politics and commerce of the world that today’s children will grow up in. We have a multicultural school and many of our pupils are already familiar with languages other than English. They are often bi-lingual by the time they join King’s House, so they readily pick up French and then Latin, a classic choice which forms the basis of many languages. Mandarin will progressively move up the school on an annual basis until it reaches the Upper Fourth Form (Year 6) in September 2018.